The Silent History is the story of children who were born without the capacity for language, told by the people around them. While the children themselves are unable to explain their situation, their parents, teachers, doctors and more can. It is told from the perspectives of many different characters, each with a slightly different perspective on the issue, and sees the development of these children into adulthood and even through a second generation. I picked this up in a bookshop purely because it sounded interesting which is something I do not do enough. That being said, I wasn't anywhere near as captivated by this book as I hoped I'd be. I've always been fascinated by language (proven by the fact I am currently studying German at University) and the concept of children born without this ability was fascinating to me. Unfortunately I didn't really love the way the concept was carried out. It is told from many different perspectives which I found incredibly confusing for at least the first half of the book. While it is clear by the end that many of the characters lives' intertwine in some way, at the beginning it feels like reading lots of individual stories with small, if any, links, which makes it difficult to track who is who. Although I'm not usually a fan of long books, I usually try to give them the benefit of the doubt and assume it is long for a reason. With this, however, I struggled to see the reason for it being so long. While I understand that much of it was to show development and create the links between different story lines, if it was shorter I feel like I would have enjoyed it more. While the idea behind the plot of this book is definitely interesting and incredibly unique, it is my opinion that the book itself didn't deliver as much as it could have. It had a lot of promise and is definitely not a bad book in any way, it was just not as good as I was expecting despite such an interesting concept. If it sounds like the type of thing that would interest you it is worth a read. As mentioned, it is in no way a bad book, just maybe be prepared for it to be not quite as good as the blurb makes it sound. 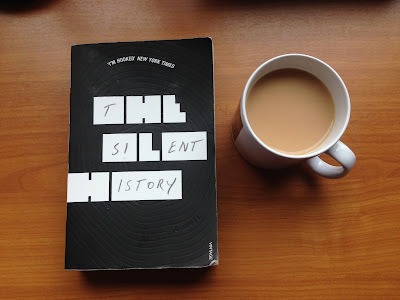 Have you read The Silent History? Do you agree with me? Did you think the book was as good as its concept? Let me know in the comments!